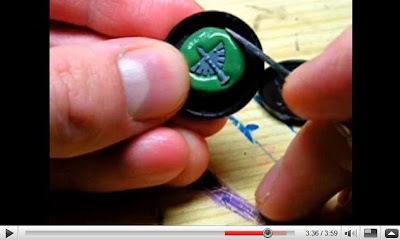 Part two of the tutorial is done... both videos are posted here. I'm getting more and more involved in the YouTube community the last couple of days and it really makes me want to create more videos. I've wanted to post an overview of my desk for a while here now, but doing this with pictures and text will take up a lot of time, so I did a quick video on the subject. Crisis 2009 was held on Saturday 7 November at the Metropolis Conference Center in Antwerp, Belgium. 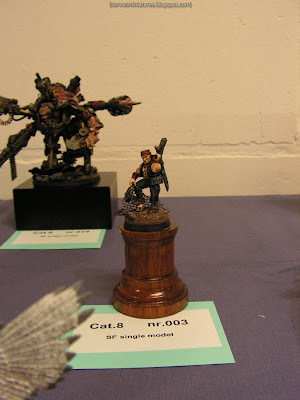 Here's my report with highlights from the show itself and the painting competition. Crisis when I arrived, the usual busy atmosphere. 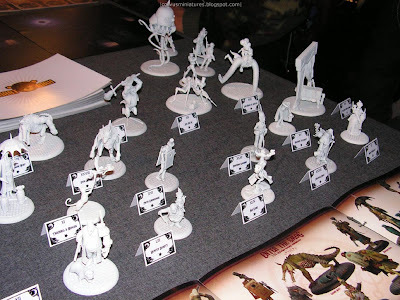 Here are some shots of the Smart Max booth, with their miniature line Smog. 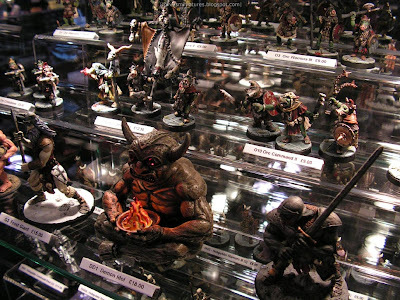 Their booth was very dark, difficult to take good pictures or even look at the minis. 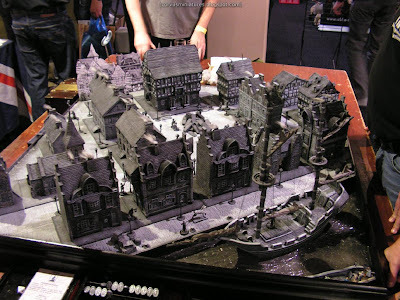 Anyway this is good quality stuff, large scale, and quite expensive too. 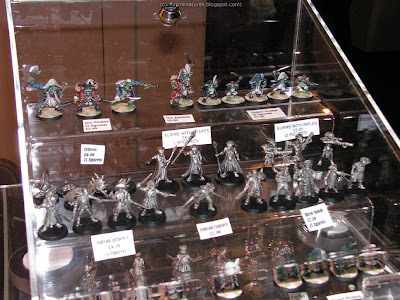 At the Freebooter stand it was business as usual. 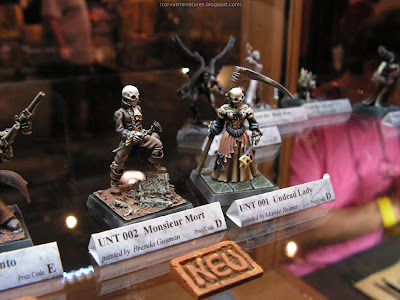 The eyecatcher this time was the new undead figure "Monsieur Mort". 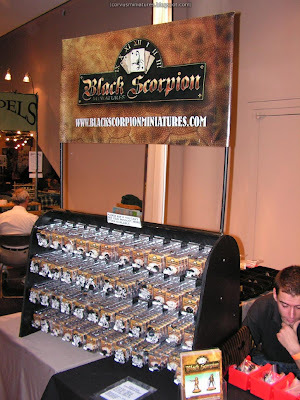 Which was the one of Black Scorpion Miniatures. 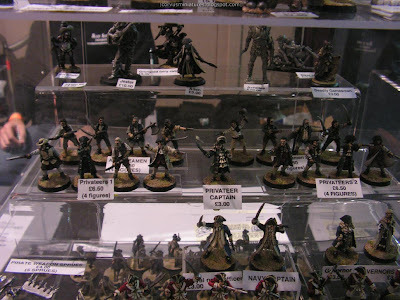 I picked up their set of four undead pirates together with the captain. It cost me 10 EUR, now that's what I call good value! 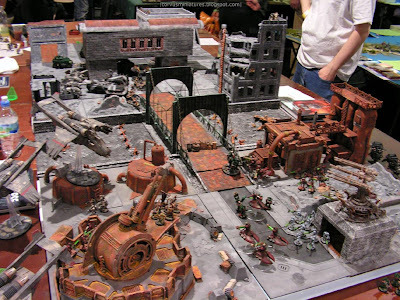 Of course their was plenty of room for large demo tables. 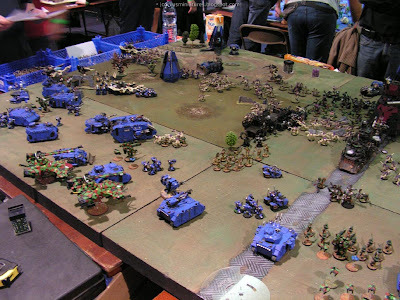 This was one of the nicest tables I've ever seen, actually it was some kind of board game instead of a wargame. 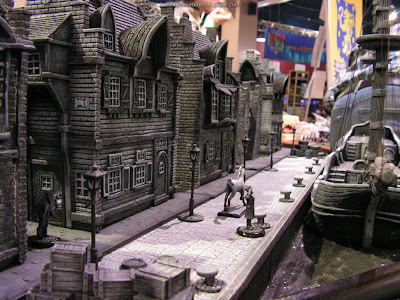 This Victorian town and the miniatures (mainly vampires) was painted entirely in gray, and very detailed. 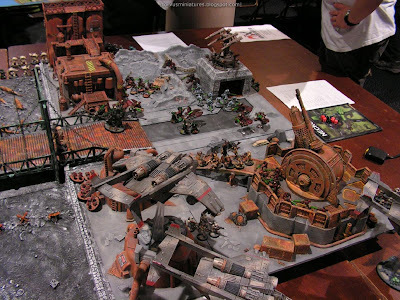 Two shots from the Warhammer 40K demo table by XHammer, a gaming club from Antwerp. They won second prize with their table, well done guys. Here's an overview of the single fantasy category, usually the toughest one. 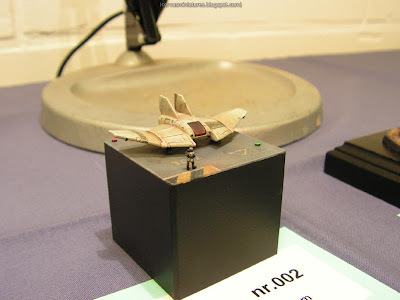 Some single figures from that category. 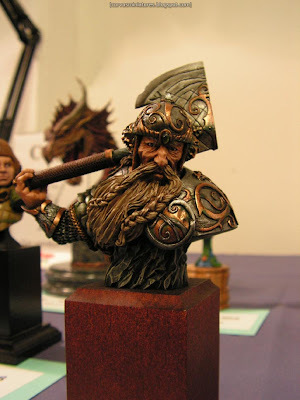 Bust & large scale category. Single SF category. Judging in this category was quite harsh. 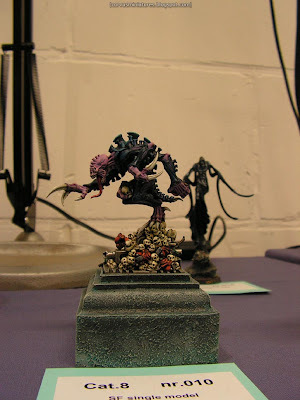 Actually there was only one prize: a Space Marine of which I don't even have a picture... First up my very own Haqqislam Naffatûn which earned 117 points (13 short for a bronze medal). 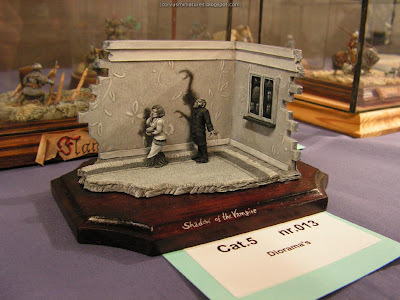 An entry by Sven Wichert. 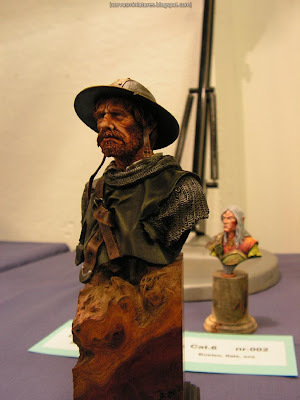 Guido Gunther's entry, he told me he painted the figure in 3 hours... smooth blending nonetheless. 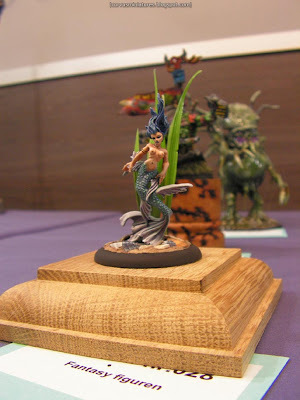 Michael Holzapfel's entry in the 15mm or smaller category, which won a well deserved prize. 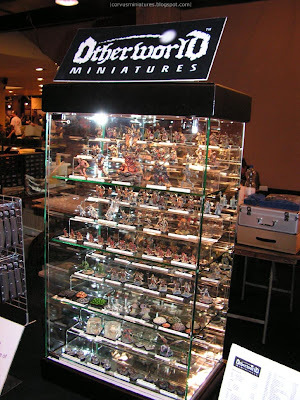 It's really insanely small if you see it in real life. Well that sums it up once again. I had a great day, just like every year and got a lot of inspiration. See you all next year. 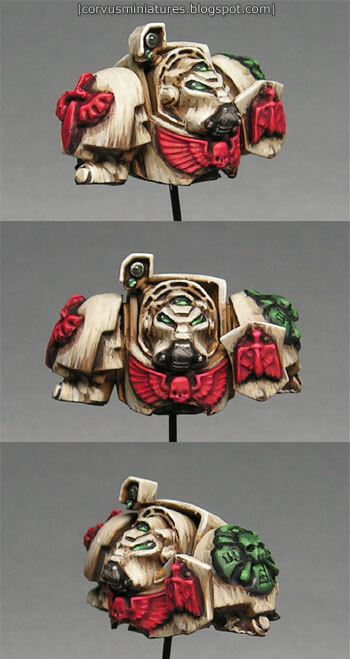 Work continues on the Deathwing test mini... right now the red areas and the lenses are done. 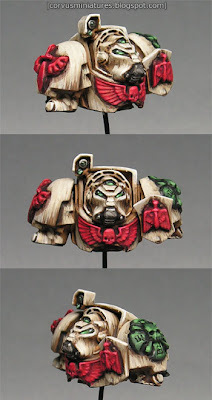 I've also basecoated the Crux Terminatus (the symbol on the left shoulderpad) in black green, I'll highlight this up to a medium green later on. 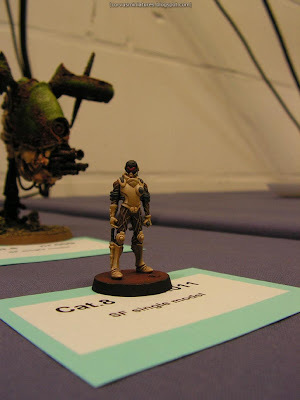 Actually I've painted it in a traditional grey first, but that really didn't suit the beige armor at all. 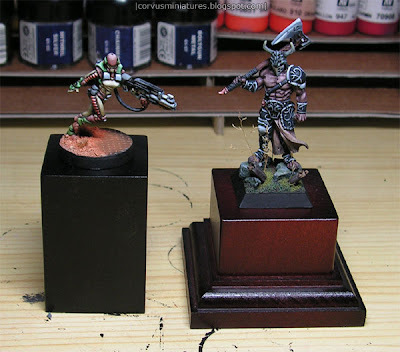 I might also give the red areas a wash of dark red to shade everything a bit more. After reading September's White Dwarf magazine I was full of inspiration to paint a Blood Angels terminator. 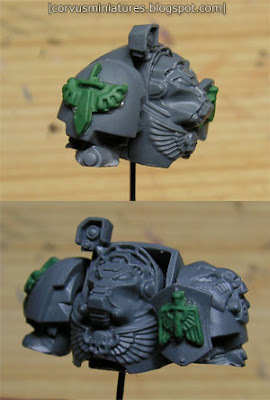 At the same time I got this crazy idea to create a 28mm bust simply by cutting up a miniature. 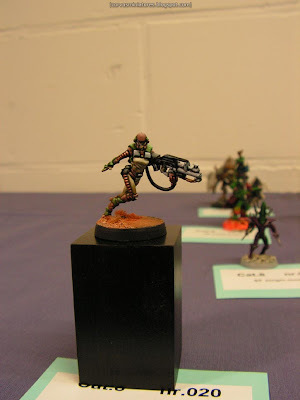 But I picked this figure back up for the Bolter & Chainsword painting competition, known as the 'Golden Bolters'. I decided to paint up a unit of Deathwing Terminators as an entry, but I needed a figure to test the paint scheme on which I had in mind. So my Terminator bust was great for this purpose! 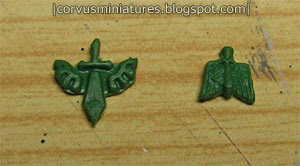 It also allowed me to try to attach some of the green stuff moldings I've created earlier. Works great in my opinion. For the painting I'm going for a gritty, dirty look. 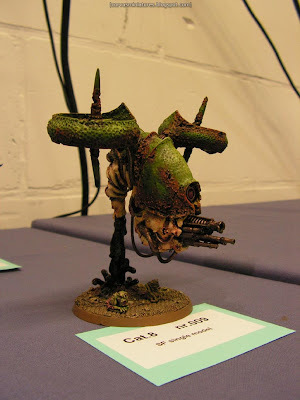 I'm going to achieve this through a 'streaky' way of painting. I got a lot of inspiration from Tim Davis at The Vanus Temple, although my approach is different and I'm going for a slightly higher quality. 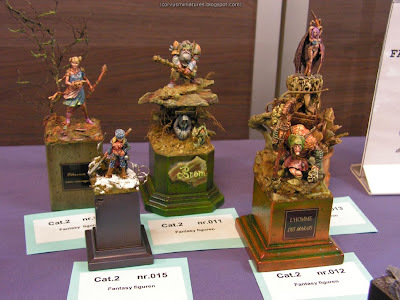 Short post to inform you guys about the result of the painting competition. 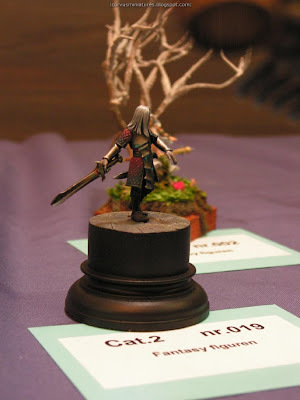 Well as expected I didn't win anything :) My Infinity figure came quite close to a bronze medal I heard afterwards from the judges, but lost a lot of points on the base apparently. Anyway, we all agreed that judging was a bit awkward this year, especially in the single SF category where there were only a few prizes. 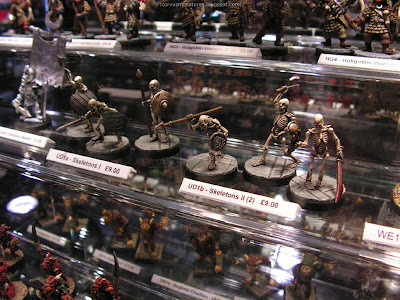 I spent a bit of money on some Black Scorpion undead pirates, paints and other accessories. More on this later. 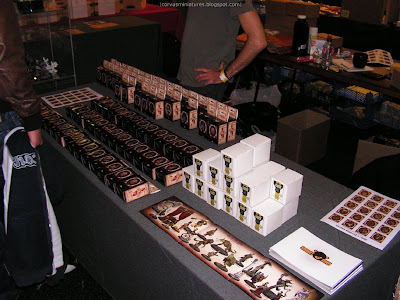 Another thing you can expect here soon is a picture report, similar to what I did for Spiel 2009. 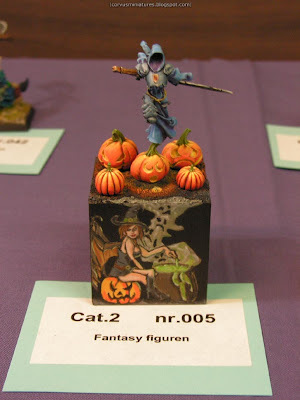 Michael Holzapfel already has a report on his blog, including a load of pictures from the painting competition. Tomorrow I will visit the Crisis event in Antwerp. 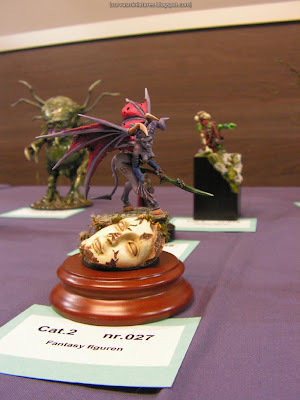 And just like every year I will participate in the painting competition there. 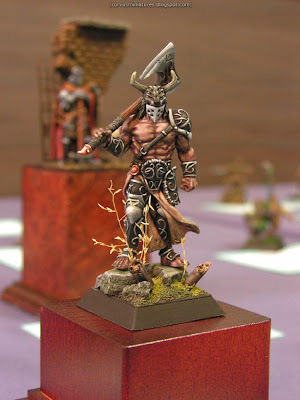 My two entries will be the Red Karnagh Drune from Rackham and the Haqqislam Naffatum from Corvus Belli. 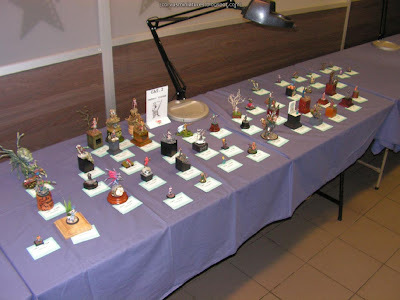 I joined the competition for the first time in 2004 and managed to bring back home a bronze trophee. 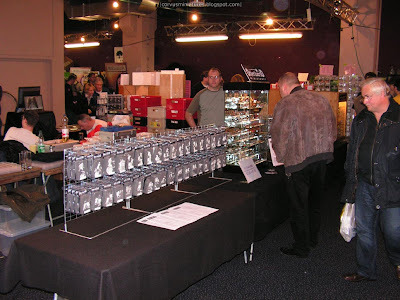 More prizes followed in 2005 and 2006 including gold and silver in several categories. 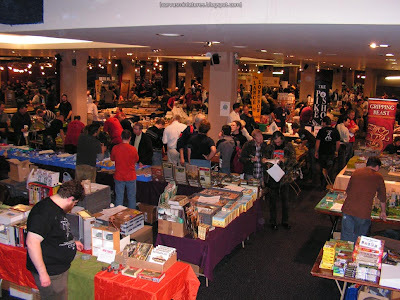 Then I was unable to visit the event in 2007 since I was abroad for my job. 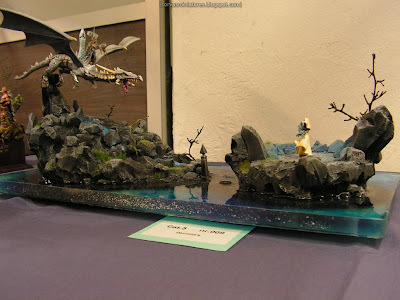 Last year, 2008, I managed to bring home another trophee with my Hell Dorado undead unit. So will I continue to keep winning trophies there? I don't know for 2009... I don't expect anything to be honest. Simply because I just didn't put much time in showcase work this year and on top of that the single mini categories are always the ones with the most competition at Crisis. 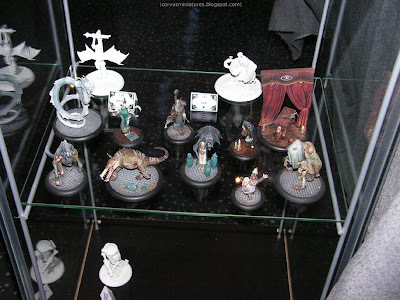 But I have two eye-catching minis which are completely different sculpts and painted in two completely different styles, so who knows what will happen? People who follow me on Twitter will have noticed I've been experimenting with green stuff press molds for the last couple of days. I also blogged about this technique some time ago. Well I finally got round trying it out for myself and I'm very pleased with the results! 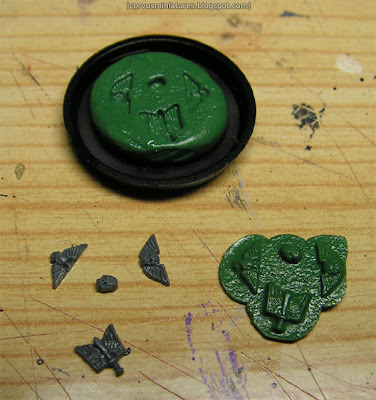 I decided to test the mold making with some very small bits (from the Space Marine commander sprue), and a larger one (from the Space Marine drop pod sprue). 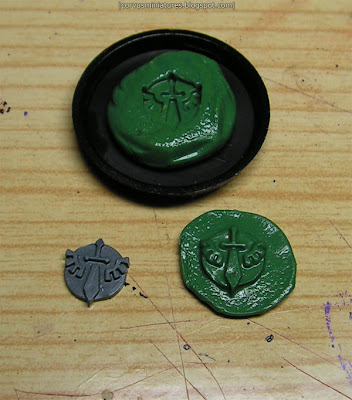 I used some round Warhammer 40K bases to make the molds.